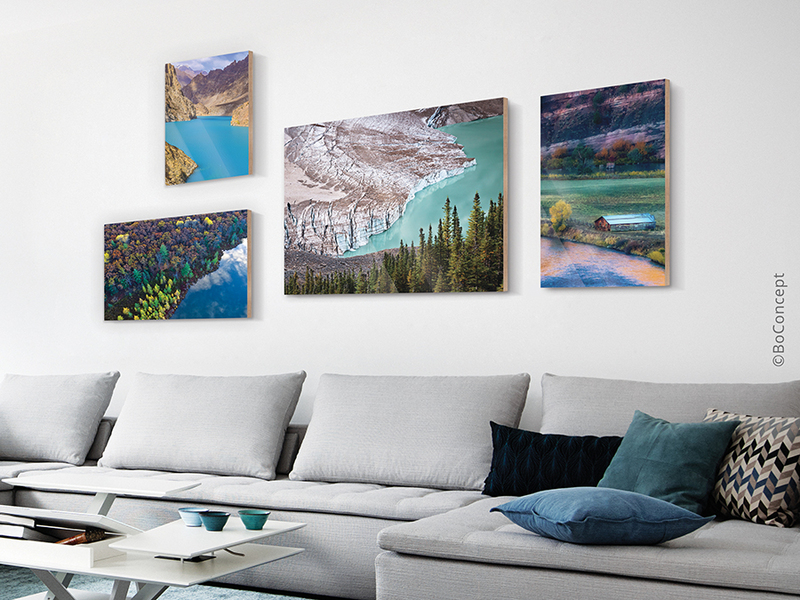 A Wood Mounted Photo Print turns your favourite picture into extraordinary wall décor. It offers a professional look fit for a gallery. As a backing material, wood is very durable and stable. The visible wood edges are thick, giving the piece a fascinating appearance! We use modern laser exposure on high-quality, light-sensitive paper to develop your photo print. Fuji Crystal DP II supports vibrant colour reproduction. An ultra-thin laminate provides UV protection. Choose between high-gloss or the subtler matte surface. Photos mounted on wood are stable, beautiful and they give your picture a sculptural feel. With its characteristic layered wood grain, the natural plywood radiates warmth. The anthracite coloured MDF panel appears more modern and matter-of-fact, and its grey colour creates the impression of an additional frame. 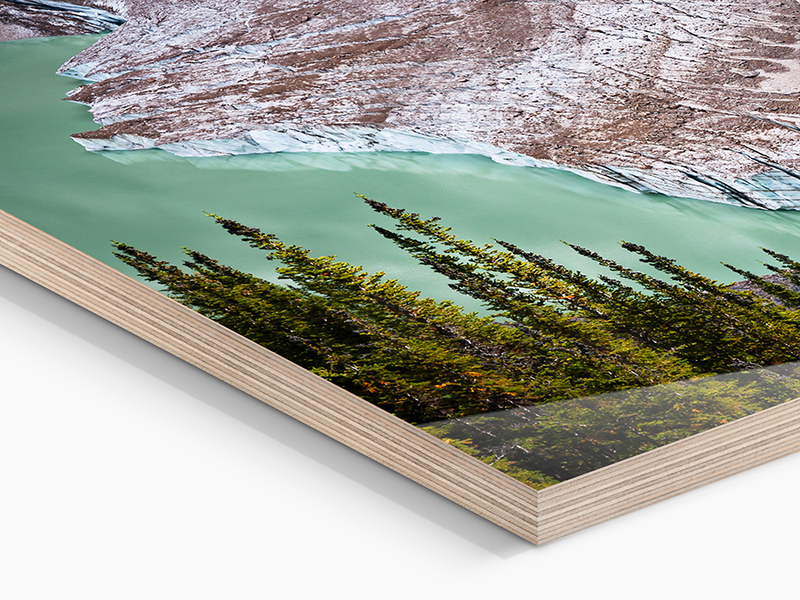 To protect your photo print from external influences, we laminate it with a UV protective film and mount it to a sturdy wood panel. The laminate is high-quality and long-lasting. There are many different formats available for your photo on wood. Select a size in portrait orientation, landscape orientation, or square. Your Original Photo Print On Wood arrives with a practical, built-in solution for hanging it on the wall: two slots on the reverse side for secure hanging. For all formats, we precisely mill thin slots along two of the edges, meaning your picture is ready for the wall! Photos mounted on wood are something different. That’s true. But they aren’t just noticeably different, they are also noticeably beautiful. 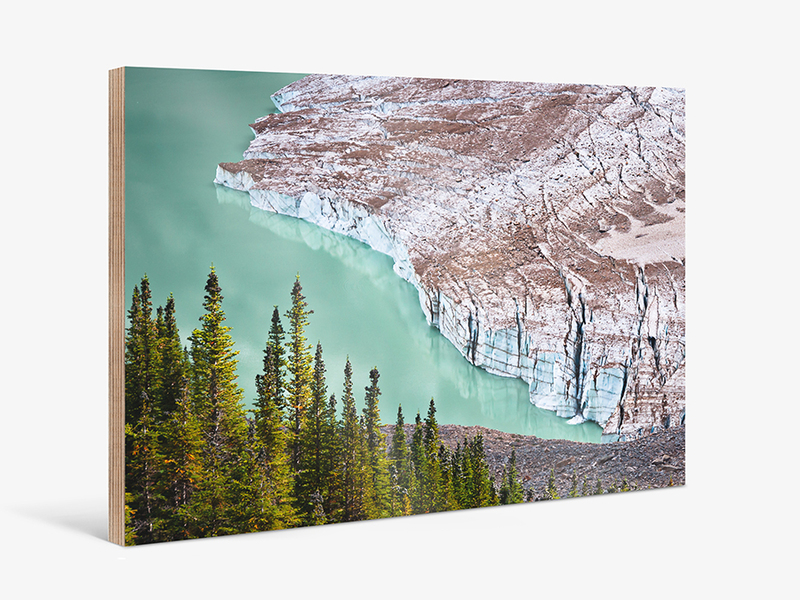 Your favourite photo on wood is an extraordinary piece of wall décor and also a professional, gallery-quality way to present your art. Prints on canvas or textile prints have a similar effect as natural plywood panels. 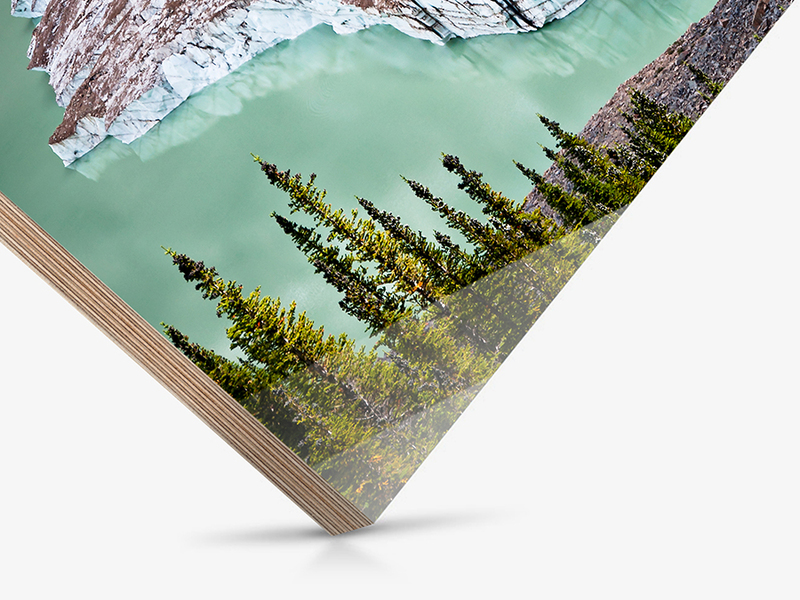 Under Photo Canvas on our website, you can find extraordinary options for your photo prints to fit your needs. To emphasize the sculptural character of your artwork, you can select our 35 mm deep solid wood ArtBox for a natural appearance similar to mounting on wood. Or go for 25 mm thick Acrylic Block for a cool, modern look that is also a popular gift. Be bold and mix small and large-format pictures in different frames or on different substrates. Every photo is different. Why not show them off differently? Listen to your gut when it comes to bringing out the best in your photo and trust your instincts to enhance your image’s effect. Take advantage of the possibilities and vary your design: nostalgic or more down-to-earth? A c-type print or a giclee print? Decide for yourself and your photos into what they truly are: your own personal memories.